After optimizing your website design, and on-page optimization you need to take on the off-site factors that search engines use for ranking your website. Arguably the most important would be the backlinks, citations and social media. These are used as trust factors and also have influence over when the search engines have to decide where to place websites that are relevant and decides in which order they are ranked when they have similar content. As a Contractor you would need to find clients that are within an accessible area that you can drive to. Local SEO for Contractors is the fundamental aspect to focus on so that you can reach people in your area. 90% of your efforts should be focused on ranking locally for the type of services you as a contractor provide. No matter how big or small your cities that you are targeting, there are local listings and directories for businesses to be listed. Adding your Name, Address, Phone Number (NAP) can add recognition to your brand and more clients, but the core value of adding your NAP to these lists is that it creates a positive signal that can help in your Local SEO for Contractors. Google has the ability to analyze the relevance of the pages that provide backlinks to your sites and takes this into consideration when determining what rank your website will receive. So it would be wise to set out to be included in the directories that are related to your industry. Some well known contractor related directories are Home Advisor and Angie's List and gaining backlinks from these two would have a great impact on your contractor website ranking. There are tools to make the submissions of citations faster like Bright Local and Yext. These tools make it so that you can get multiple listings done at once instead of going to each individual website and submitting a citation which can take time. These tools are great at saving time but they do have a significant monthly subscription and if you are only worried about listing your one company once then it may not be something you need, you could considering working with an experienced agency that already has access to these tools to save you another monthly expense. Name, Address, and Phone Number (NAP) are the three most important pieces of relevant information that a business can have publicly listed. 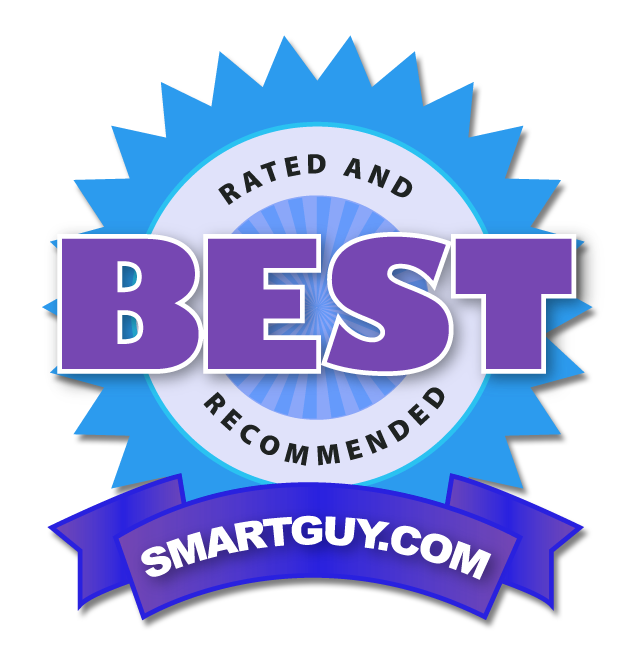 This information should be listed on your Website, Facebook, and other directories. Google uses the NAP to influence in the search result rankings. Having inconsistent NAP information throughout the internet can confuse not only your potential clients but also the bots that crawl the web which can hurt your rankings, this is why it is important to have accurate and consistent information on all the directories. There are free tools that can help you check to see your listing verification to see how complete and incomplete your listings in directories are and to see if the NAP are consistent. MOZ Local for example is a great tool that will check the internet for your information and you can use this to update any errors. Local SEO for Contractors is most effective when you optimize this important component. You need to be able to be listed in the biggest search engines Map service. Google Maps and its citation Google My Business is the biggest tool in your Local SEO campaign. 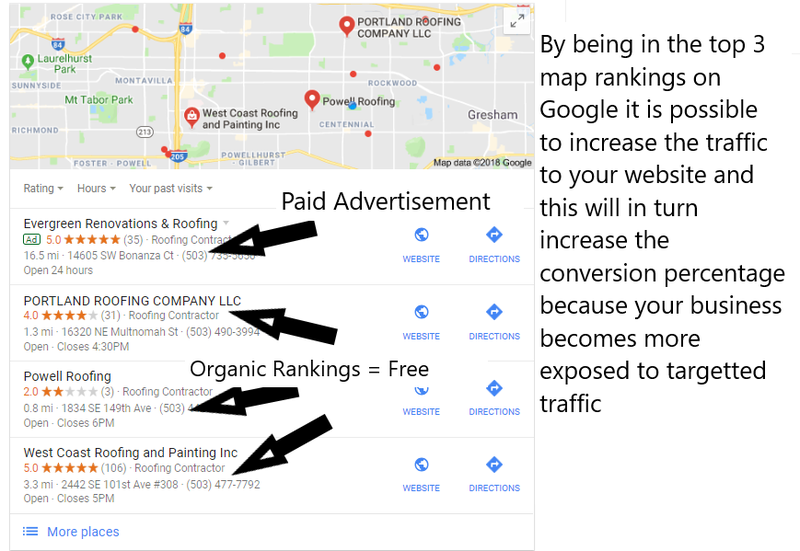 In Google My Business you should be consistently adding the most amount of information you possibly can, not just to try to rank in the top of the map which is known as Map Pack or 3 Pack which helps you obtain the most amount of exposure, but also to give the potential clients a motive to call you with a highly persuasive listing. It's best to consistently add videos and pictures to you listing, this will help set you apart from your competitors. You also should add call to actions like the "call now" button, this will initiate a mental trigger that will make it easier for people to get in contact with you. Google does use the amount and comments and rating on your Google my Business listing to influence in your map pack ranking. Although its not always the listing with the most ratings or comments that get ranked first, as there are times when a company with 5 comments outranks a company with 20 comments. It just helps to have some amount of comments and ratings because it helps Google to know that you have some authority in the community and that you are a real company. A link from a different website or a different webpage from within your own website is known as a backlink. Backlinks essentially are a "vote of confidence" that your website is given, and with more backlinks that your web page has from other sites then that's like having more confidence from those other sites. A vote of confidence or backlink from a well known website like Buzzfeed or Forbes will have more weight or confidence than having a backlink from your next door neighbor's website, but this isn't to say that a backlink from your next door neighbor isn't something you should be underappreciated. Basically you should focus on how relevant and the quality of the backlinks are to your page. If you are in the home remodel industry a backlink from a scientific magazine won't be as relevant as a backlink from a home remodeling magazine. Google see's and uses metrics of quality and relevance to measure the authority of your site, so you should put extra thought into where you get your backlinks from. A very effective way of getting backlinks is to create relevant and attractive content. This content has to be useful for others to want to use and therefore, people would want to share it on their own sites, blogs, or social networks. Some ideas could be a well thought out infograph or video tutorial about your specialty. Having great content is just the first step, its not enough to just have it if no one is seeing it. You have to be able to get out there and do some networking, be it virtual or in real life. You can begin by contacting other people in your niche using email. You can start a conversation explaining how you have a great piece of relevant content and this could lead to a possible backlink if they agree with you. A great way to find people that are in your industry is Social Media. Social Media is a part of our everyday life now and it's easier now more than ever to find people in your same industry. Look for Facebook groups, search Instagram and Twitter Hashtags, Make a LinkedIn Profile. There is also a service called Gotch SEO where not only will it put you in contact with a blog that is in your specific industry but they will also create some content unique for you and will place a backlink to your website. To tell the truth, gaining backlinks in the beginning can be hard and a little difficult, even if you do have outstanding content and have sent multiple emails out. What you can also do is to send out equally amazing content to industry blogs or websites and ask them if they can use this as a guest post. Within the content it would be smart to embed a backlink. These partnerships benefit both ends and can be made with contractors in different cities regions. Guest Post Trackr is an easy way to find blogs that will allow you to post to them. This resource is filed with directories of blogs that specialize in your industry with high authority and you can contact them easily with just the click of a button. To summarize off-site SEO for General Contractors depends on the trust you build by adding your website to relevant citations/directories and getting backlinks from relevant websites. Remember we want quality not quantity, so getting a backlink from anywhere and everywhere you can doesn't matter as this will be seen as spammy. We want relevant websites to link back to us so that Google can view the content on your website as trustworthy and relevant to the industry the other websites are in. Also it is not good practice to just focus on specific keyword anchors. It's ok to have a healthy mix of url, generic and branded backlinks. Less is more in SEO, and if we have a heavy ratio of specific keyworded anchors, Google can view this as trying too hard and spammy. For a complete guide on SEO please read part one and part two which are filled with healthy tips to help improve your search engine rankings. And as always, if you have more questions about how to rank your website or how to get your internet marketing campaign started, Contact us, your local experts on everything Portland SEO.